According to Apple, some iPhone 6 Plus devices may exhibit Multi-Touch issues after "being dropped multiple times on a hard surface," causing damage to the device. 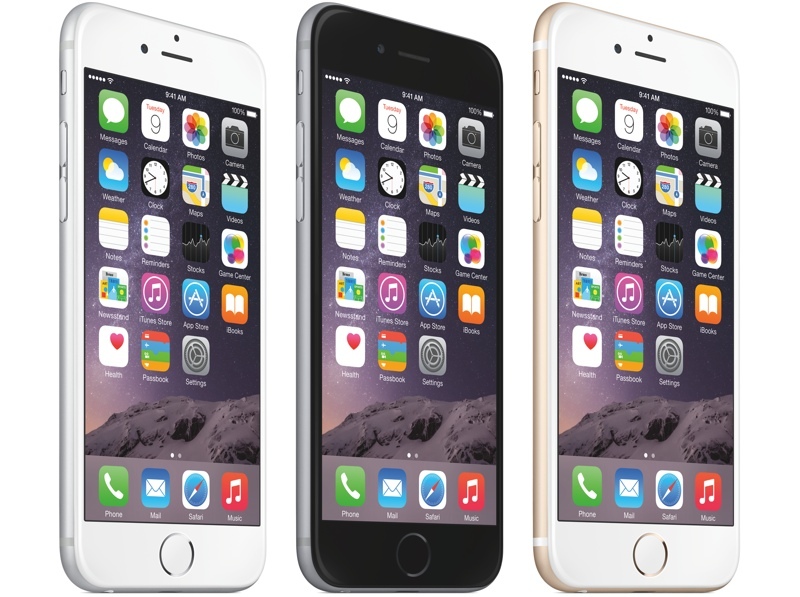 Under its repair program, Apple will fix affected iPhone 6 Plus devices for a service price of $149. Customers who paid more than $149 to have their devices fixed before the repair program was implemented will be able to get their money reimbursed by Apple. Complaints about the iPhone 6 Plus touchscreen issue started in August, after iFixit published a video highlighting the bug and dubbed it "Touch Disease." Touch Disease presents as a gray flickering bar at the top of the screen and a display that becomes unresponsive or less responsive to touch. The problem is believed to be caused by the touchscreen controller chips soldered to the logic board of the phone, making repairs difficult. Third-party repair outlets speculated that the issue could be linked to the same structural design flaw that caused the major "Bendgate" controversy, and Apple's suggestion that it is caused by repeated physical damage seems to confirm that. Customers who have an iPhone 6 Plus with Multi-Touch issues can visit an Apple Authorized Service Provider or an Apple retail store to see if they qualify for the $149 repair fee. Except there are plenty of people whose phones weren't physically dropped and had these problems occur because of the manufacturing errors. But sure, Apple, let's make an excuse that points fault at the customers, and not at itself! And the fact that they're charging $150 instead of owning up to its mistakes and conducting these repairs for a lower price (Or free, IMO) is a laughable joke. Tim Cook, you're the best CEO to get that profit. It's a manufacturing error, and not the customer's fault. To ask people to fork up $150 for their own mistakes is a joke. Stop sucking up to Apple. Wow they admitted it at last!! Pleasantly surprised. Admitting it yet while charging $149 doesn't really seem like admitting it. This is worse than "You're holding it wrong." At least Jobs issued free cases to iPhone 4 owners. $149 to fix a defective product has the fingerprints of a tunnel vision CEO all over it. A "disease" that occurs more than a year later... And people are naive enough to pretend they never once dropped their phone or did anything to them to cause parts to loosen up? It's completely on the users, regardless of what click-seeking websites say. Wrong and naive. The problem didn't occur for almost every complainer until a year after owning the 6. There's no way in the full year they never once dropped their phone or never did anything that could have damaged the internals. It's complete idiocy to think that the users did nothing to their phones that could cause this. Did you even watch the video? I swear, all the apologists who have responded to me so far didn't. Look at the comparisons in there of the 5s vs. the 6 plus. A metal shield vs. a sticker. If I put the phone in my pocket for 1 year with that change in components, then yes, eventually touch syndrome will arise, even if I didn't drop the phone multiple times. On top of this, people posted of "touch disease" on their phones even before that 1 year occurrence. But it was only after that year because the majority of these people didn't drop their phones. They use them as regular phones, but because of the material (Note that Apple changed it going to the 6s/+) and putting these things in their pockets, that component WILL be affected. Wrong and naive. This is crap. I had two iPhone 6 Pluses exhibit this issue, and never dropped them. They were both slightly bent though - the first one bent over time, and the replacement was bent right out of the white box and the touch disease symptoms showed up as the genius bar guy was getting it set up. I am always extremely careful with my phones, and they only ever go in my front pocket. So, normal usage (if not better-than-normal) with these phones caused bending issues over time, even if it was ever so slight. Apple's transformaiton from the rebel jogger in the 1984 commercial to the authoritarian on the projection screen is now complete. Apple should offer a free repair. Because it's a design defect. And we know it's a defect. Because we're world-class chip designers. Not saying whether Apple is or is not in the wrong here, just saying a company renowned for their customer support shouldn't be judged too quickly. Apple probably had multiple engineering teams looking into it, and this is their conclusion. Perhaps Apple is greedy. But perhaps consumers are more clumsy than they choose to admit. Perhaps both.